Which Features Are Most Important in an Email Marketing Platform? Today the best way to market your business is through email. Yet email marketing requires a platform which will provide all of the required tools and services. The best choice? ActiveTrail’s newsletter software, which focuses on the factors most significant to business growth. Two of the most important factors are template design and high deliverability. ActiveTrail’s wide range of templates allows users to personalize their emails, finding the perfect look. The platform’s high deliverability means it sends bulk emails in no time. In addition, ActiveTrail offers various integration options, so that no matter what tool or IDE you are using, the platform can help you grow your business. When you send bulk emails and one recipient emails you back, ActiveTrail’s autoresponder responds accordingly. In addition, the system’s A/B testing tool allows you to test your email on a minimum number of recipients, then analyzes their responses and changes the format of your email newsletter accordingly. 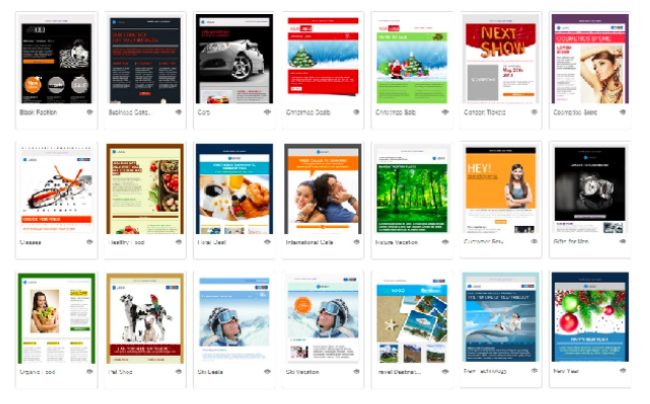 Let’s look at ActiveTrail’s collection of templates. ActiveTrail offers a dozen of ready-to-use templates for email newsletters. Your company’s email newsletter is one of the best ways to increase your business: It helps you keep in touch with your customers, reminding and informing them about your new products and services. 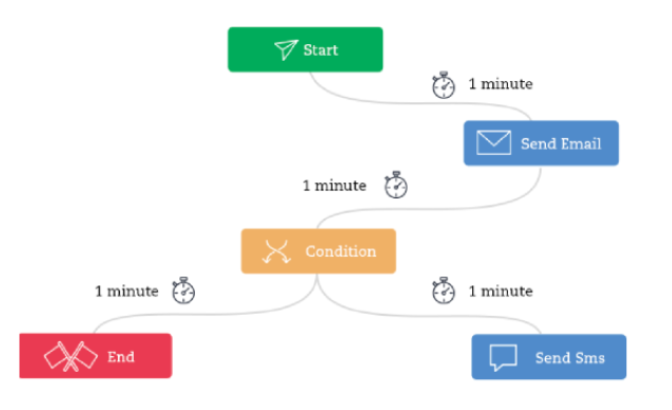 If you’ve never sent a newsletter before, it doesn’t matter: With ActiveTrail, you’ll be set and ready to go within a few minutes. There are five types of ActiveTrail templates. The first type are empty templates for those who know HTML, and can build and design their own. The second type are simple templates which don’t require any knowledge of HTML, but can still be built from scratch. The third group includes title and article templates, with a basic element and dynamic. Two-article templates, as the name implies, allow for two articles, two images, and so on. The last type of template is the two-product template, displaying two different products, and including other essential tools as well. Truthfully, though, users can edit any template and personalize it to fit their needs. Creating your newsletters is only the first step; if the email doesn’t reach your intended audience it’s worthless. For your email newsletter to be successful, you need to be able to reach out to each and every customer personally. ActiveTrail provides the high deliverability rate necessary to grow your campaign and better utilize your resources. In fact, ActiveTrail’s deliverability rate is 100%, thanks to the special methods developed by the company. All you need is to do send the email newsletter, sit back, and relax. Regardless of which IDE, API, or other tools you use for your online platform, ActiveTrail provides integration and support, with an intersystem interface alowing you to do everything you need to within your ActiveTrail account. But you don’t need to open your ActiveTrail account every time you need to change something; instead, you can use events, or webhooks. ActiveTrail uses flexible API technology, making it user-intuitive and innovative. ActiveTrail can also be integrated with Zapier and WordPress, providing another easy way to access hundreds of different programs. The ActiveTrail system also offers Facebook integration, Salesforce ntegration, Optimove integration, Cashcow integration, Priority integration, Personals integration, and integration with both Google Analytics and your e-commerce store. Why do you need an autoresponder? Many times when we send an email, the recipient responds, usually with a question or issue. When you’re sending bulk emails, the number of responses can be huge, and handling each and every email may be difficult, if not impossible. ActiveTrail provides you with autoresponder software, helping you respond to your customers’ emails appropriately. ActiveTrail’s autoresponder software is one of the most important tools in any internet marketing campaign. It allows you to schedule when your emails will be sent, and sends them automatically at the time (and on the day) you chose. But that’s not all – the greatest thing about autoresponders isn’t that you can set a time and date for every email in advance, but that you can have the system react to the actions taken by your clients. 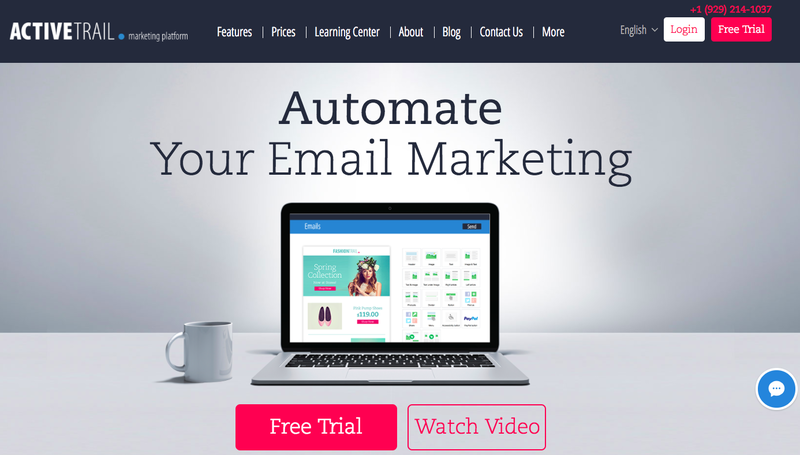 This, more than anything, can really give your email marketing campaign the push it needs. Your autoresponse software can to react to different actions taken by your clients, based on what you set it to do. Actions can include a clicking on a link in an email, opening a specific page on your website etc. You can also adapt your emails to fit different kinds of clients, based on their actions. Using an automated email sender, you can send greetings, or personal wishes on a client’s birthday, anniversary, or any other date you wish to acknowledge. The great thing is that this autoresponder is very flexible, easy to use, and can fit any marketing design. A/B testing is a must before jumping into the field of email marketing. In A/B testing, users optimize their emails by sending two versions of an email to a limited number of recipients, then examining their responses. Analyzing various parameters, ActiveTrail’s system measures success expectancy and automatically sends the more successful version of the email to the rest of the recipients. This assures subsequent recipients will be receiving a more better email, allowing for the best possible campaign results. There is a lot more business owners and marketers can do with ActiveTrail, but the above two – templates and deliverability – are the main factors you should focus on. What does it cost? ActiveTrail offers over 10 different plans, ensuring there’s something for everyone. Plus, it allows you to customize your payments and then plan accordingly. Email marketing is one of the latest and most effective online marketing techniques out there, but you need to find a platform which offers customisable templates and high deliverability. If you’re looking for the best, take my personal recommendation and go for ActiveTrail. Increase your business with the best.